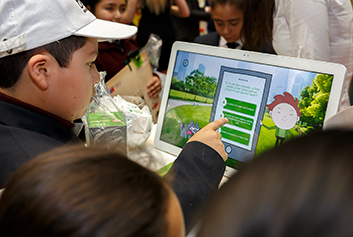 Is one of the hallmarks of Falabella's pursuit of social responsibility, created 49 years ago in order to build a better future for the children of today and the families of tomorrow. This initiative has been adapted to the educational conditions of each country, based on the full support of volunteers from each store, together with municipalities and parent centers, and the community to which they belong. 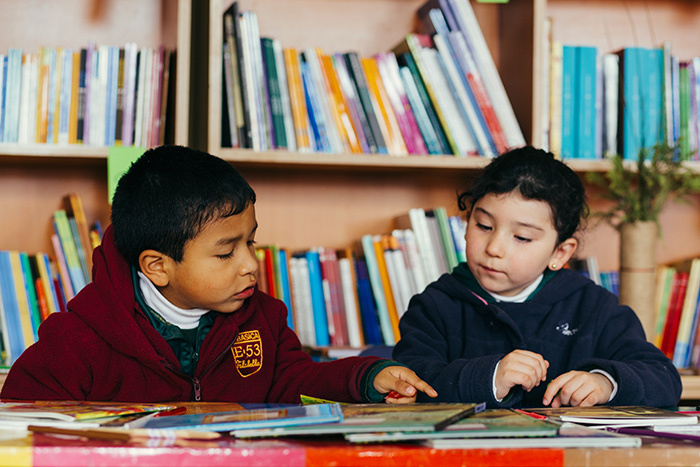 The Program is present in Chile, Argentina, Peru and Colombia, supporting more than 100 educational establishments and helping to improve the education of more than 80,000 children in the region. 90% of the children reported a change of positive attitude towards football and reading with their parents, after participating in the sports programs "Escuela Activa", "Escuela de Fútbol", "Copa de Fútbol" and in the reading promotion program "My Parents, My Stories". 97% of the children generated an interest in financial education and music through the "Together We Play", "From the School to the Municipal" and "Olympics of Knowledge" programs. Additionally, 96% developed an ability in these areas. In the case of academic programs, 78% of the beneficiaries (children and teachers) improved their skills and 96% developed an ability participating in PHE's academic programs. Is a competitive fund for home improvement to which neighborhood or community organizations can apply for their projects aimed at improving neighborhoods, infrastructure, any public or community spaces seeking improvement in quality of life. Projects are realized utilizing the organization's facilities and through voluntary work of collaborators together with the community. 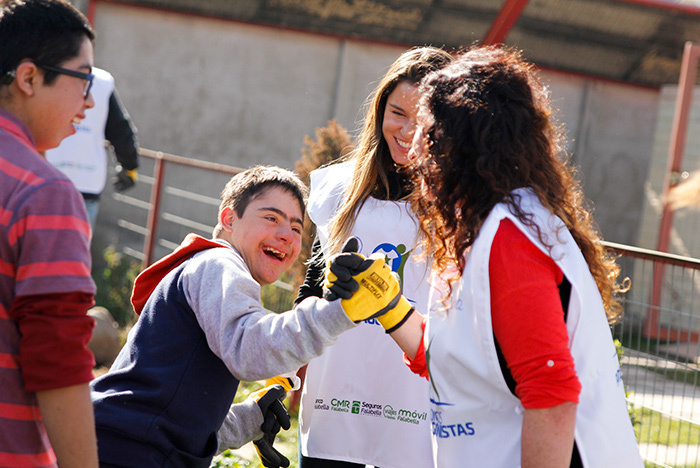 In 2017, 96 projects were carried out in Chile, with the participation of 1,510 volunteers, taking 7,138 hours and benefitting 29,674 people directly within their community. As part of this initiative, 143 workers were also supported at a domestic, internal level to improve their homes and quality of life. 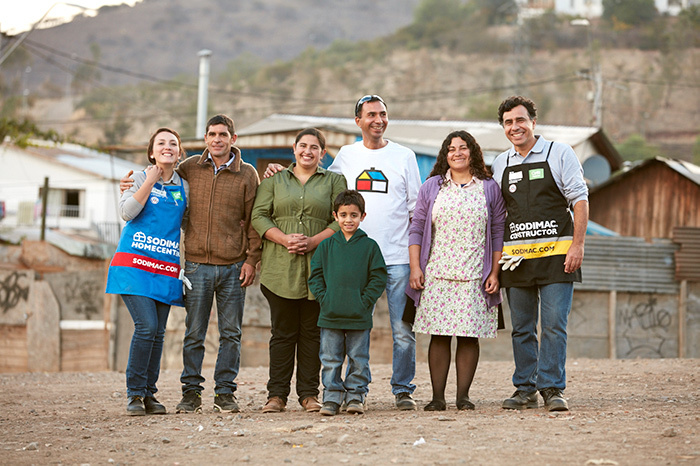 Is a collaboration with the NGO Techo in Chile, Peru, Colombia and Uruguay, building homes for vulnerable families, donating construction materials, selling charity products to raise funds, leading craft workshops and providing technical advice, always with the active participation of volunteers of the company. In 2017, Sodimac and Maestro in Peru undertook 2,140 hours of volunteering and the company participated by staging education workshops in Catacaos, epicenter of the worst damage wrought by El Niño in that country. 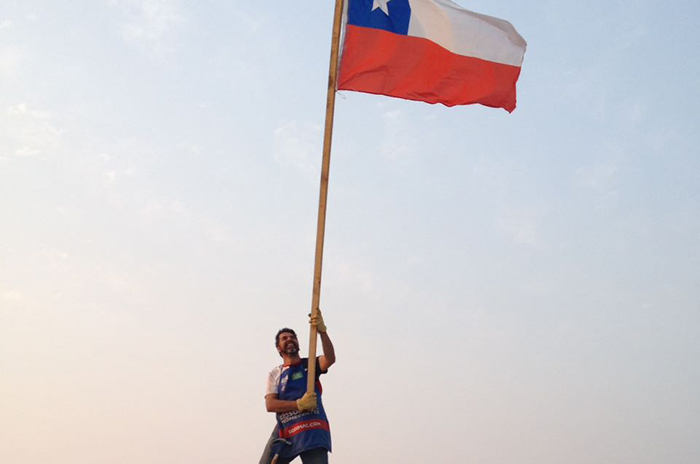 In Chile, the institutional campaign of Techo, the emergency response to forest fires, and six large projects for the construction of 449 permanent homes in Valdivia, Buin, Talcahuano, Copiapó and Valparaíso were all actively supported. Is a program that has become an emblem of the company in the field of inclusive business. Created in 2005, this successful model develops a series of initiatives that benefit construction professionals, including the awarding of study grants and the development of training sessions in all countries. 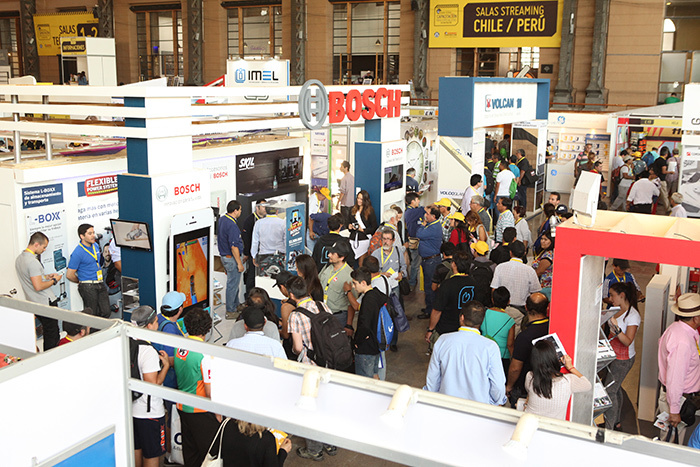 In 2017, the Great Training Fair was organized simultaneously in four countries (Chile, Colombia, Peru and Argentina), benefiting more than 67 thousand specialists who received training courses, with the participation of 90 brands, and with 37 thousand of the benefitting participants connected via streaming. During 2017, the social investment programs of Sodimac in Chile began to be measured using the LBG methodology, essential to understanding the value that social programs create in local communities, as well as the intangible benefits they bring to the business. 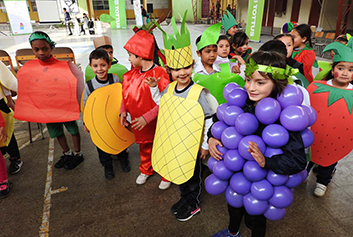 Promotes healthy eating habits in children, teachers and parents in vulnerable schools located near the supermarkets of the Falabella Companies, as well as our employees and customers. The program "How rich is healthy growing with Tottus" started in 2014 with 200 children and two schools in Melipilla, while today, it has been implemented in 17 schools between the Metropolitan Region and the VI region, benefiting more than 4,000 children. Our teachers participated in our classroom sessions, with more than 1,200 teachers and representatives joining the healthy eating workshops and more than 1,000 employees having attended the courses given by our team of nutritionists. Is an initiative begun 4 years ago by our Financial Services business unit, which seeks to contribute to the development of the communities in which we are present, through raising financial support for projects aimed at overcoming child poverty throughout the region. During 2017, it successfully attracted 35,571 new members, raising a combined total from these partners of more than US$ 1,100 million, 47% higher than the previous year. Exists to train the community, clients and collaborators in the good management of their finances and budget. In 2017 we continued to strengthen the "Eddu" program in Chile, Peru, Colombia and Argentina, which has for its protagonist an animated character that promotes responsible financial behavior. A web platform used to disseminate various recommendations and videos, using a simple and attractive style and language, has managed to reach thousands of people since its launch. Additionally, in order to clarify any questions and deepen the knowledge of clients in matters of education and financial security, 360 talks were held in branches of Banco Falabella Chile, and 4 separate e-learning courses were offered. We also held our first financial education fair and, through the tournament "Learn with Eddu", more than 2,000 students from the Doing School Program were given lessons in managing their personal finances. In Peru, we have also developed an e-learning platform for our collaborators and organized various talks for students, teachers and parents, to the benefit of more than 2,300 participants. 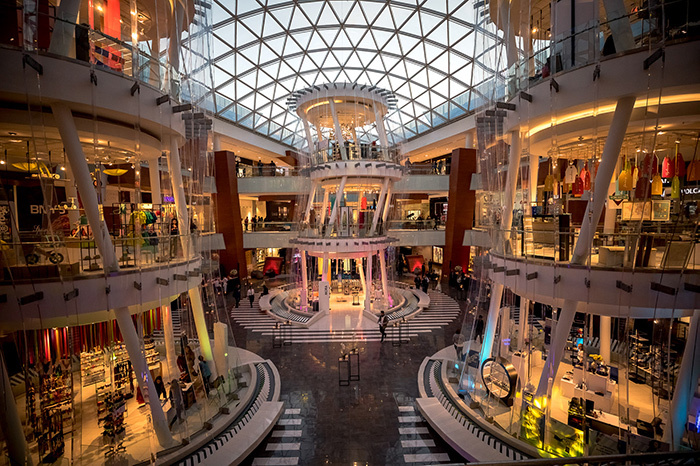 Seeks to facilitate the access of entrepreneurs to the large number of clients who visit our shopping centers, through fairs and permanent spaces in our malls. In addition, we support our entrepreneurs with training and mentoring programs, carried out by executives of the Falabella Companies. During 2017 we held more than 300 fairs, involving more than 1,000 small entrepreneurs, of which more than 90% received tools to better manage their businesses and thus make them more sustainable over time. In this way, we positively impact more than 1,000 families and 4,000 people indirectly, in addition to promoting innovation and boosting local trade. Is the first public library located inside a commercial center in Latin America, and offers the possibility of accessing reading materials and cultural output for sectors typically deprived of such access. This is done with the conviction that generating community access, quality written materials and broad cultural spaces is a fundamental tool to enhance the growth of a country. 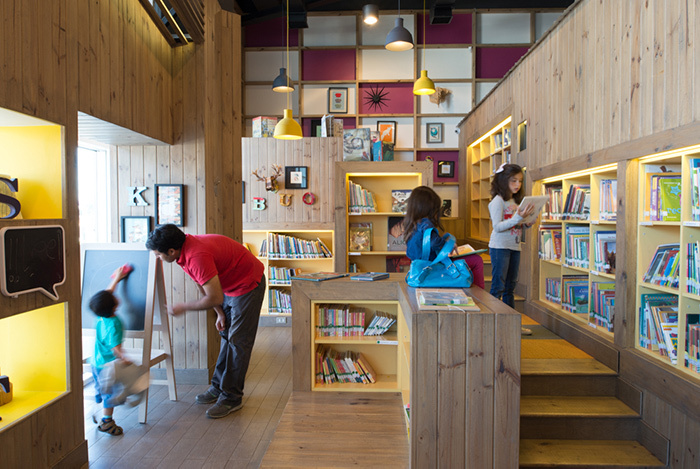 As of 2017, there are already nine Viva libraries located in different Mallplaza de Chile.